The movie "Unplanned" was based on Abby Johnson's book by the same title. “Apparently you have a superhuman marriage,” actress Margaret Colin (Independence Day), said to Abby Johnson after an early screening of the movie Unplanned, which tells Johnson’s conversion story. Abby was a clinic director of a Planned Parenthood in Texas, and through a series of events — the pivotal one being a participant in an ultrasound-guided abortion — felt compelled to leave her job. 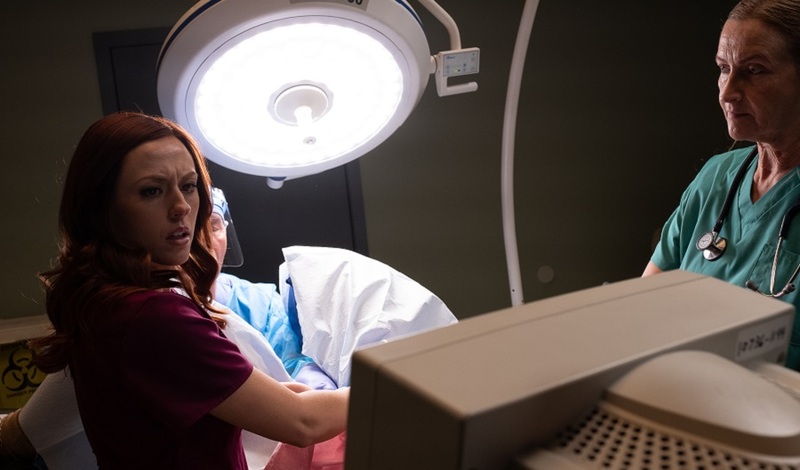 Unplanned, which will be in theaters at the end of March, will naturally attract pro-life people familiar with Abby’s story. But it should draw a wider audience — it’s a love story full of hope. Unplanned can provide an opportunity for a healthy examination of conscience. Early in the movie, Johnson’s first visit to the clinic where she would later become director is depicted, complete with a man screaming rude things at the women walking in for abortions and the staff members accompanying them. That kind of verbal abuse wasn’t the approach of the Coalition of Life activists who Abby developed a relationship with through a fence over the years. Loving kindness makes a difference, and it helped pave the way for Johnson to knock on their door one day to say she wanted out. Johnson only ever wanted to help women. She had two abortions herself. She knew they weren’t pretty. She knew they weren’t ideal. She didn’t want women to have to have abortions, but wasn’t going to take the choice away from anyone. But once she saw what she saw on the ultrasound screen during the aforementioned abortion — a baby pulling away — she couldn’t be a part of it anymore. 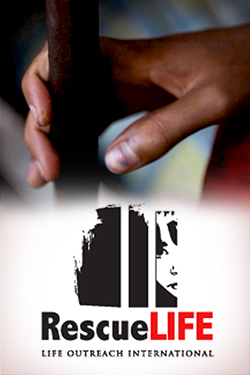 The movie comes at a striking time for pro-life activists. A bill in the Senate is getting people on the record about survivors of late-term abortions; at the same time, the discussion over late-term abortions gives us the opportunity to think about abortion in all three trimesters: Do we need to do it? Is there another way to help women? Couldn’t we/shouldn’t we be doing more to support community health centers that don’t have so much to do with abortion? And there are so many other questions raised by Unplanned: Do we love one another? Truly, in beautifully painful ways? Across a fence? I may believe there’s evil happening inside someone, but do I love him or her anyway? I may pray for their conversions, but do I also pray for their families and that they may one day know real love? You may think I’m a hack writing about abortion again and again, but can we respect each other and see the good in everyone we encounter? Can we work together on something? A few hours before I saw the movie with Johnson, actress Ashley Bratcher and producer Chris Jones, I went to Confession. And as I walked out, I saw a man who seemed to carry all his belongings in a busted suitcase blow a kiss inside the church. The movie does something similar. It’s a love letter across the fence of our miserable politics that in recent years has strained family relationships and broken up friendships. Obviously, if you work for Planned Parenthood or wake up in the morning motivated by the cause of abortion rights and expansion, you’re probably not going to bother seeing Unplanned. But people do change their minds. We watched the film on the anniversary of the 2011 death of Dr. Bernard Nathanson, who changed his mind after performing 75,000 abortions and helped found the National Association for the Repeal of Abortion Laws. Unplanned could help restart things, so I hope many consider seeing it. I don’t expect 1,000 Nathanson conversions, but at least some small progress toward something better. Watch Unplanned with humility, whoever you are. We all have something to learn from it about the power of love.